Yesterday I went to the supermarket to shop for vegetables and some fruit to be included in my paleo and/or gluten free life style. When I was standing in the onion section, I watched an employee training a young man on how to stock the apples. He told him to look at each apple and choose an apple to fit perfectly between two already placed apples. They all have to be the same size, no dents and always face with the prettiest color up. It was fascinating in a really bad way. I remember when I was young growing up in Austria, we had all kinds of different apples, all sizes, some riper than others. It did not matter. The apples were also much larger – full big apples and so tasty. What happened between then and now? Where did all the different varieties go? When I looked at the apple section, there were 4 different apple varieties. That was it. They were all small and looked exactly the same. What is happening to our food? Living a paleo life style I want to live as healthy as possible. But I am wondering, how healthy are those specifically raised species? I know that the taste is suffering by breeding them a certain way. They all taste the same. More watery than 30 years ago and the texture is the same. Now, I know I am talking about a supermarket, but what about a Farmer’s Market? Yes, I tried them too. 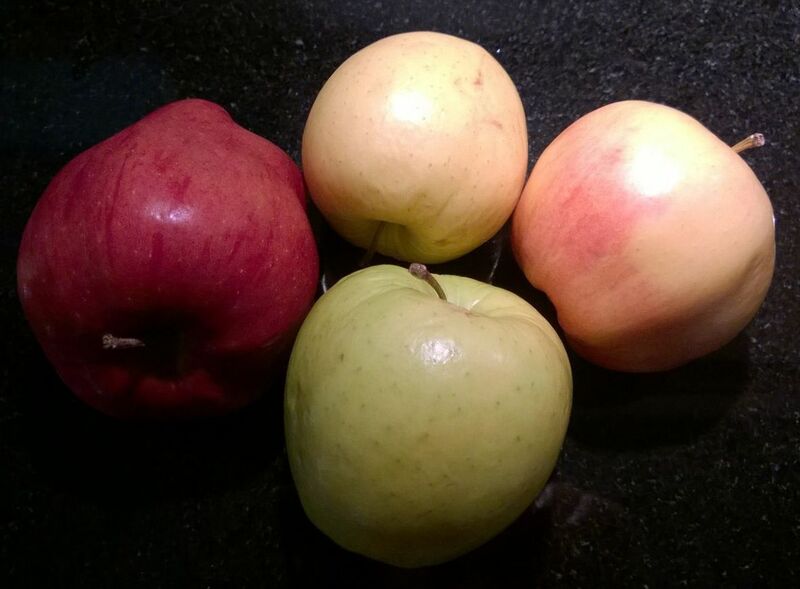 And yes, their apples where different sizes, but still, lacking in taste. They had a lot of booths there, but nothing really differentiated them. They all carried the same fruits and vegetables. Only one little booth was different. It was a lady with her husband, and they sold fruits and vegetables from their garden. They only had small amounts of potatoes, carrots, turnips, apples and peaches, That was it. Not one apple, nor potato, nor carrot…. looked the same as the other. There were small thin carrots, large short carrots, long thick carrots, carrots with two legs…. thick plumb potatoes, elongated potatoes, uneven bumpy potatoes…..
Where there people standing and buying at that little booth – no. Not one person. People were walking by, looking and shaking their heads. So we went over and bought some carrots, turnips and peaches. You cannot even compare the taste with supermarket vegetables and fruits. The lady’s carrots were juicy, sweet and crisp, the turnips had a lovely flavor and the peaches were soooo deliciously sweet. What draws people to booths that have uniform vegetables and fruits and ignore anything, that does not look so “pretty”? 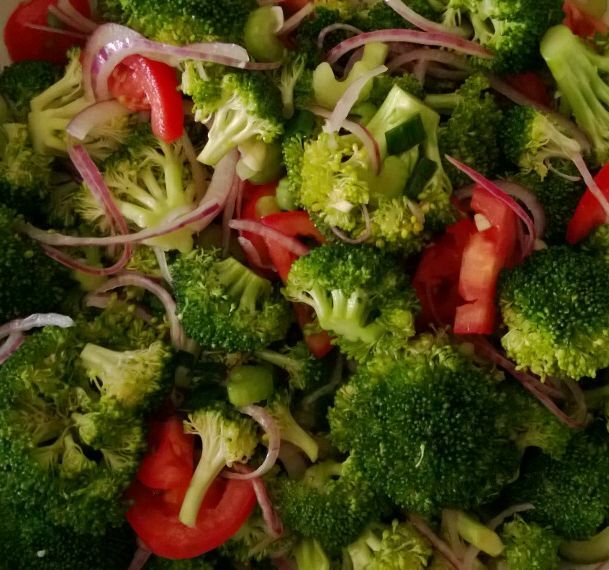 There is nothing wrong with the quality of not uniform grown vegetables – not to say, in my opinion the quality is much better and the vegetables are healthier, more nutritious and better tasting. And it is not just young people going for the uniformity of food. Older people are the same. Don’t they remember how it used to be years ago when they were young, how much better food tasted? It still baffles me. And where can I get this better tasting food, when not even the Farmer’s Market produces that kind of vegetables and fruits. I want to live a healthy ‘almost paleo’ life style, but it is hard to find what I need. Well, I just have to scour one Farmer’s Market after the other, and maybe I will be lucky to find the food I am looking for. Do you buy your vegetables and fruits at a Farmer’s Market or at the supermarket? I will be looking forward to your comments.